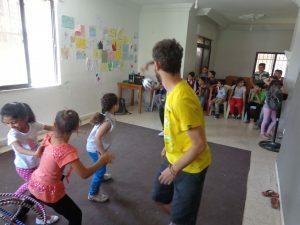 CRP has partnered with Capoeira 4 Refugees to offer Capoeira classes to our kids on Saturdays. Capoeira is a Brazilian martial art that incorporates music, rhythm, and dance. It has been shown in research that Capoeria is a great psychosocial tool in aiding children who have undergone trauma and stress due to conflict. This program is a great way for young children to learn about the differences and similarities in other cultures and to create their own story through innovative dance.